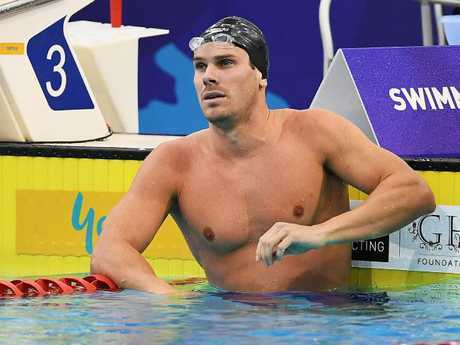 QUEENSLANDER Zac Stubblety-Cook was the revelation of the final night of the Pan Pac trials in Adelaide after he shaved close to two seconds off his personal best in the men's 200m breaststroke to make the qualifying time. 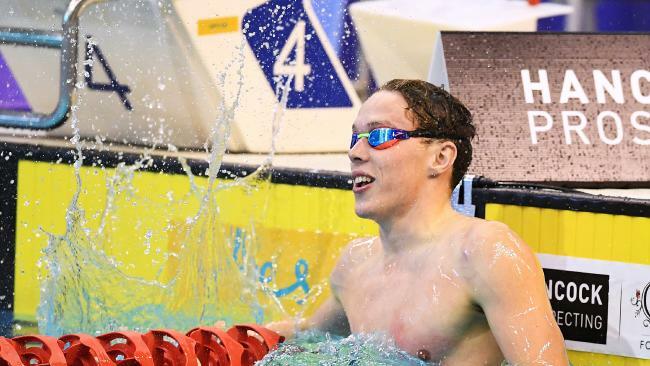 Stubblety-Cook, 19, made the team with the last stroke of the last race of the meet, with the Dolphins line-up for next month's Tokyo event finalised on Wednesday night. 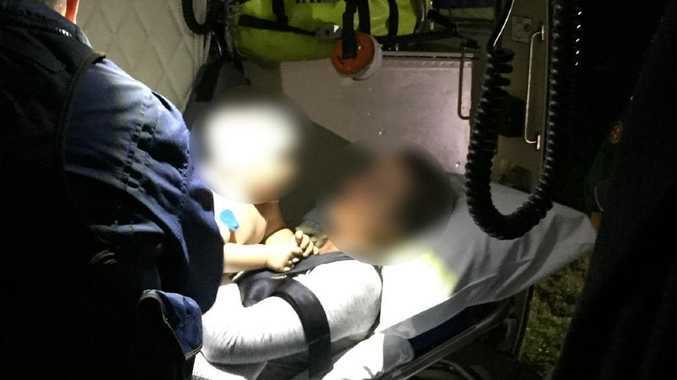 It came after he had endured a testing lead-up to the trials with a disappointing 10th in the Commonwealth Games in a time a little over 2min 15 sec. 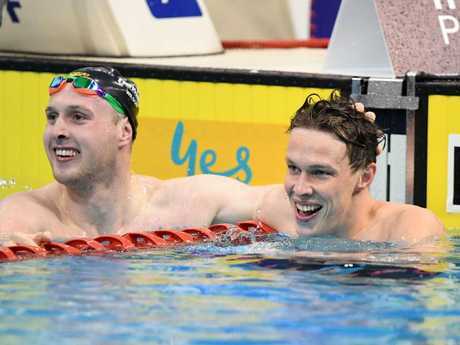 Queensland’s Zac Stubblety-Cook (R) shaved two seconds off his 200m breaststroke PB to make Australia’s Pan Pacs squad. His time in winning the final on Wednesday night was 2.08.65, sneaking in under the Pan Pac qualifying time of 2.08.80. His previous best was 2.10.10. Stubblety-Cook was stunned as he turned around at the finish to check his time. "I still can't believe it," he said afterwards. "My Commonwealth was pretty disappointing - just choking, really, that's the only way to put it. "Coming back from that and working off that I knew I had to step up to get some more confidence. "I've always trained really well and put together training well but never executed it in a race." In other events, Olympic gold medallist Cate Campbell completed the sprint double after winning the 50m freestyle to go with her 100m race. 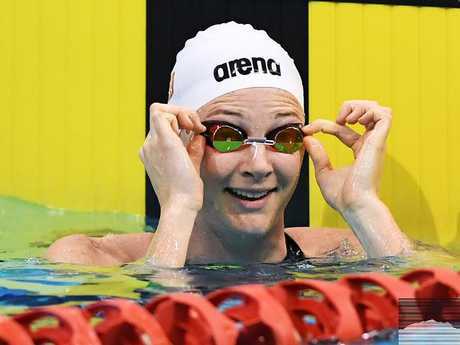 Campbell's sister Bronte will sit out the Pan Pacs as she rehabilitates from a shoulder injury. Campbell and Emily Seebohm will both travel to their third Pan Pacs. Campbell won the race in 24.12 seconds, comfortable within the qualifying time of 24.59 but had already qualified for the Pan Pacs with her time at the Commonwealth Games. "It's like a lottery (the 50m)," Campbell said. "You spin the wheel and whatever time comes up, comes up." 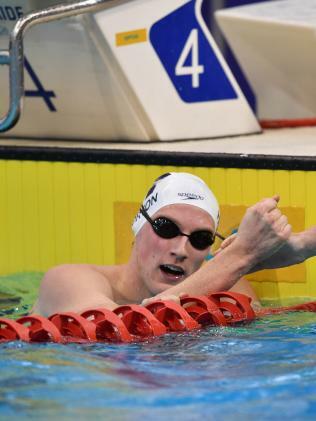 Fellow sprinter James Roberts has made his first Pan Pacs team after winning the men's 50m freestyle. But he said he had plenty of work to reach his best before leaving for Japan. "There's still a lot of room for improvement for me in the 50," Roberts said. "I'm still working it out as I go. "It's awesome - I've never done a Pan Pacs before. "Checked off the Comm Games and to debuting in both in the same year is great. "I love Tokyo and it's got to be a good stepping stone for 2020 (the Olympics) as well." Swimming Australia last night named a 33-strong team to contest the Pan Pacific Swimming Championships in Tokyo from August 9-14. The team consists of 17 women and 16 men. Queensland dominates the team with 27 - 11 of those from the Gold Coast and six from the Sunshine Coast - with two each from NSW and one each from WA and SA. South Australia's Kyle Chalmers and Victoria's Mack Horton are the two individual gold medallists from Rio on the team. Mack Horton is one of two individual Rio gold medallists on the team. Team Coaches: Peter Bishop (SASI, SA), Michael Bohl (Griffith University, QLD), Dean Boxall (St Peters Western, QLD), Simon Cusack (Brisbane Aquatic Centre-High Performance, QLD), Craig Jackson (Melbourne Vicentre, VIC), Adam Kable (SAL NSW High Performance Hub), Chris Mooney (University of Sunshine Coast, QLD), Vince Raleigh Brisbane (Aquatic Centre-High Performance, QLD).